Green Day’s Billie Joe Armstrong and Norah Jones are making an album together. A country duets album. Yes, you heard right. The pop-punk legend and an acclaimed jazz songstress have teamed up on an album that pays tribute to The Everly Brothers’ 1958 album Songs Our Daddy Taught Us. The duo’s ode to the classic Americana tunes is fittingly titled Foreverly. The album will be released on Nov. 25. The songs “Long Time Gone” and “Silver Haired Daddy Of Mine” have already appeared online. Having listened to both songs, I was very impressed by the quality of this collaboration. In spite of coming from seemingly disparate musical backgrounds, Armstrong and Jones’ harmonies sound like a match made in heaven. The instrumentation and production is top-notch as well. While I imagine many Green Day fans will be startled by this project initially, these songs speak for themselves. They sound good, regardless of a genre predisposition. Moreover, I applaud the duo’s efforts to break out of their respective comfort zones. Satiate your overwhelming curiosity as to what this collaboration sounds like and check out a sneak peek of the album here. 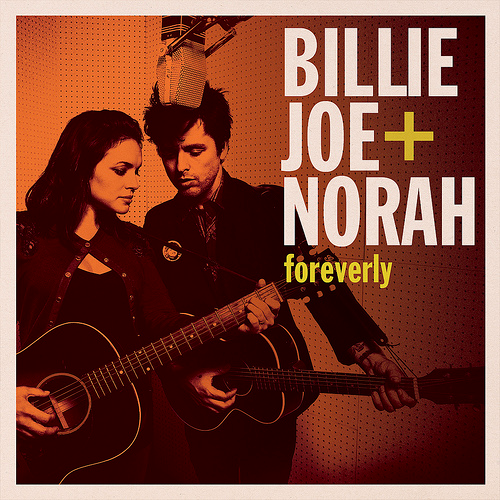 Let us know what you think about the Billie Joe/Norah collaboration in the comments below.